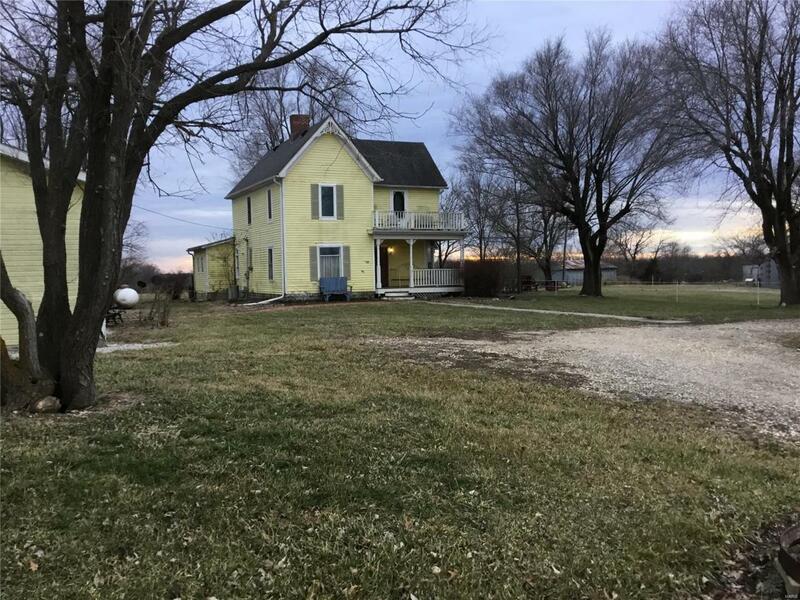 1890-2 Story home on 5 acres. Extras include a covered porch, balcony, deck, breakfast room, remodeled kitchen with custom oak cabinets, large detached garage, pole shed, and machine shed. Partially fenced. Only .4 of a mile on gravel. Owner offering property "as is".